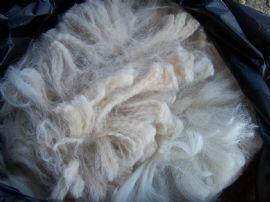 Dragonslayer is beige with large bold crimp from head to tail. He has good brightness and handle across the blanket. His third year fleece weighted 8.8 pounds. We recommend using him to improve yield and protect a dams color. We just can't say enough about Venus. She is a full Peruvian with PERSONALITY! She is one of the best producers on the farm. 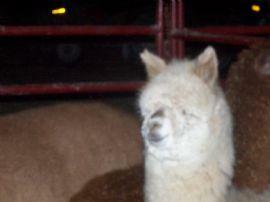 She is 1/2 accoyo with a typey head and took 3rd place at the Ohio Alpacafest in 2003. She has dense, crimpy fiber with a micron count of 20.7. Her first cria sheared 9.5 pounds at 1 1/2 years old! She is a Grand Master granddaughter and carries on the trait of putting on the fleece! She consistently shears 8 pounds of fiber. 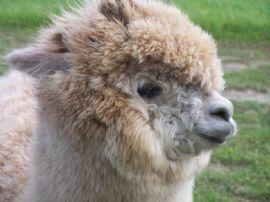 Her latest cria was a Mr. Bo Jangles son & we are very excited about his future! 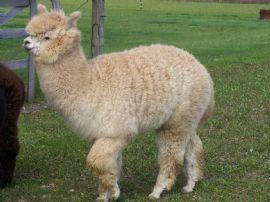 She was bred back to our awesome black sire, Mr. Bo Jangles, for an October, 2009 cria. 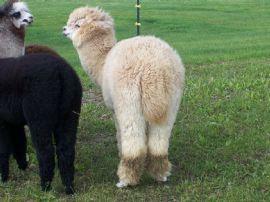 The cria will have 4 great bloodlines (GrandMaster, Black Magic, Matador & Bueno)! This cute stud has so much fiber on his face that you can hardly see his eyes! This guy really has the accoyo look with the typey head and full coverage. He has nice bold crimp and is very uniform. 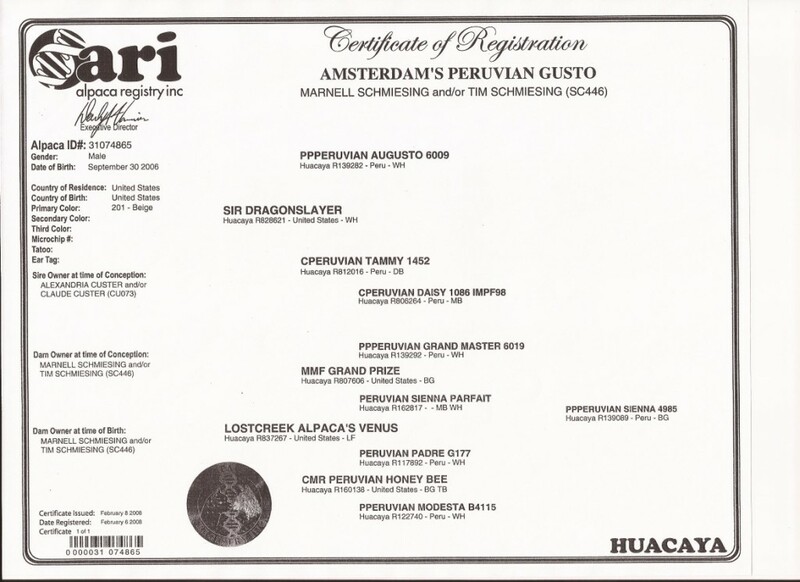 Gusto has Grand Master lineage on his mother's side; and his father, Sir Dragonslayer, is an Augusto son! He has given us two very nice females and a gray male that is the best male we have on the farm! He has a brown spot and throws color! All of his offspring have been females except one.